The all-party Parliamentary Public Accounts Committee (PAC) has published the result of an investigation into the procurement of InterCity Express and Thameslink rolling stock where the Department for Transport decided to take the lead in the process. It concluded that the outcome has been late delivery and excessive costs which were considered predictable as the Department had no previous experience of such projects and that there was no rationale in moving away from a position of setting policy and strategic goals to direct intervention in operational decisions. It was also judged that by buying the trains directly the Government has taken on all the risk in the event that passenger growth is less than expected and that it will be the taxpayer that covers any financial shortfall. The two projects were seen to demonstrate that there is a lack of skills across Government to manage large scale procurement and that the way the competition was organised meant that the Thameslink order worth £2.8 billion effectively excluded the only UK passenger vehicle builder from securing the contract. It was awarded to Siemens who are constructing the trains in Germany. It was found that the outcome was crucially undermined by skill shortages and made worse by frequent change to the officials responsible as for the IEP programme no fewer than 7 project managers have been in charge since 2007, an issue the DfT is seeking to put right for the future through a recruitment and training programme. The PAC report suggested that if options for the fine tuning of incentives to the Train Operating Companies had been considered the trains could have been acquired with much lower financial risk to the taxpayer. In both cases the delivery of the equipment is more than two years late as a result of revisions to the process and an inability to raise finance. In part this is blamed on the financial crisis in 2008 but it must be observed that post-2008 delay did not occur to the programme to enhance the Pendolino fleet which was funded by Angel Trains and the Scotrail Class 380 EMU fleet funded by Eversholt Rail. The original justification that the DfT put forward for leading the IEP and Thameslink vehicle procurement included the view that it would secure value for money. Given the 2008 financial hiatus this has not proved to be the case as for the IEP trains the PAC found that finance costs for the Great Western fleet was 13% greater than would have been the case if a public procurement process had taken place. 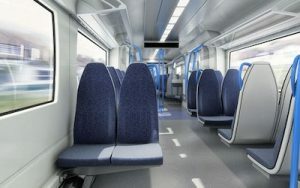 The contracts awarded to private sector consortia have a total worth of £10.5 billion and require overhaul and maintenance to be carried out to meet service performance standards over a 20-year period for the Class 700 Thameslink fleet of 1160 vehicles and a 27.5-year period for the Class 800/1 trainsets made up of 866 carriages for Great Western and East Coast operations.